As part of the vibrant Lehigh community, you can create innovative solutions to the world’s greatest challenges, engage with local and global topics, and take charge of meaningful change on campus. You will be part of the next generation of entrepreneurial thinkers with the skills and knowledge needed to thrive in a world tasked with finding answers to the sustainability challenges of your generation. Whether you are grabbing fairtrade coffee with friends before class, conducting interdisciplinary research, participating in a sustainability student club, or organizing a campus campaign, your dynamic and transformative ideas will sustain you during your time here at Lehigh and beyond. You can be a part of our university community that designs, implements, and practices a sustainable life! Whether your ambitions guide you toward science, business, engineering, policy creation, consulting, or teaching, or if you dream of tackling the most complex challenges of the 21st century (such as climate change or resource equity and distribution), Lehigh will provide you with a foundation of skills for your future career. Are you a bold thinker who realizes that real world solutions require open minds? Can you view the challenges to sustainable practices through an interdisciplinary lens and variety of differing perspectives? No matter what college or university you study in, you will have the opportunity to apply sustainability concepts to your field and leverage the expertise of faculty. Come and be part of the dialogue that engages students in multi-disciplinary education and research. Learn more about classes and majors that integrate sustainability content. Do you want to make a positive impact and enact meaningful change? You can make a difference here at Lehigh! There are a number of opportunities to refine your leadership skills or take on a new leadership roles through Lehigh clubs and groups that promote environmental, social, and economic sustainability. Multidisciplinary group of students, from all majors and programs, dedicated to learning about and tackling issues of global poverty, international development, and sustainability. Club offers mentorship for younger students, an outlet for academic discourse and exchange, and a place to discuss current problems, events, and the like. Are you looking to meet new people, be outdoors, and have fun? Are you curious about the inner workings of environmental sustainability? Incoming freshmen and transfer students can jump start their education and college experience through SustainabLEHIGH, a three-day pre-orientation experience, whose mission it is to introduce students to all facets of environmental sustainability. The Sustainability Leadership & Innovation Institute enables current high school students to develop their skills as the environmental leaders of tomorrow during this week long program hosted by Lehigh’s Office of Sustainability. 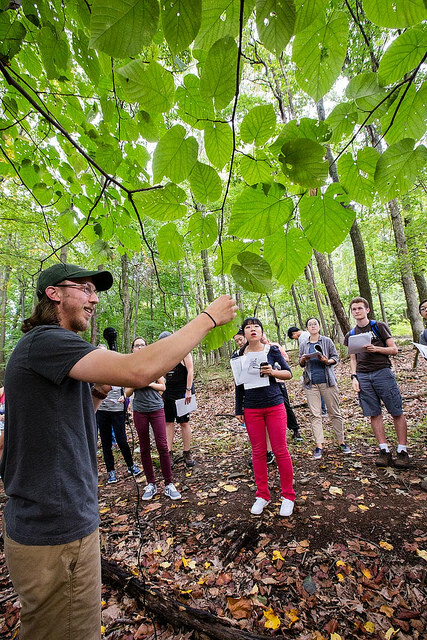 Students will have the opportunity for place-based experiences focused on sustainability, creative inquiry and environmental innovation, all while getting a taste of the Lehigh University experience! Using an entrepreneurial mindset and the United Nation's Sustainable Development Goals framework, students will create solutions to local sustainability challenges within a global context. Interwoven with off-campus trips, discussions with Lehigh students and professors, and a self-designed capstone project, students will gain valuable academic and leadership skills through practical application.